The CITED intends to sustain and continuously improve an effective tool to help institutional and educational development of Colegio Americano, to provide technical support to all fellow directors of sections and department areas. The CITED is an internal organism for consulting of Colegio Americano de Guayaquil whose purpose is to participate in research programs, projects, planning, teaching and institutional assessment, teacher recruitment, training and institutional and curricular development in coordination with the overall direction and sections. Educational research: design and evaluation of projects and programs. Planning and curriculum development: design and evaluation of macro and micro curriculum. Evaluation teachers: design, monitoring and analysis of the evaluation process for teachers. Technical assistance in educational legislation and administrative procedures. Teacher training: design, monitoring and evaluation of projects and programs. Educational Institutional development: design, monitoring and evaluation. Support the development of programs and actions of the Guidance Department. It will also support links and networks with external institutions. The prioritization of activities concerning the various functions will be performed according to their urgency and importance. Seek to improve the quality of education provided by the school. That is, it is relevant to local needs and national and international educational demands. Be co-participative: the source of the designs include the collection of experiences and opinions of teachers and directors of all the sections, in some respects it would be advisable to consult students and parents. The purpose is to incorporate the changes of progress in eminently active roles. To be coherently and validly designed. b. Coordinating work with senior management and directors section is essential, in them is the core of will and institutional leadership for change. In addition, research and innovations will only be positive, judiciously to the extent, to be applied in classrooms and other spaces of the school and its beneficiaries are students, parents and teachers. c. It requires that all educational projects undertaken are subject to be framed in its policies and plans approved for that purpose with the help of CITED. This will allow progress of the Educational Unit in which all sections are articulated. d. In the process of evaluation and training is needed in collaboration with the general managers, section, department and areas. Therefore, the systematic CITED support and technical processes that each section is running. The products of the evaluations will be feedback for teaching. e. CITED seeks to link with national and foreign organizations to help realize their work. f. An important task of CITED is to raise awareness among senior and middle leaders of the organization about current and adequate educational progress for our country and institution. g. It is desirable that at any time institutional analysis processes will be done to serve as a source for the planning of new experiments or changes and / or adjustments to be made. h. Should periodically compare the progress with internal and external institution advisers. Technical staff – field of education and research and institutional development: director, researcher (proposed). Contribute to the process of institutional transformation. Serve as an internal link for the requirements of the Ministry of Education and sections or agencies involved for such matters. Advice and contribution to directors, department and area coordinators, and teachers in the design, monitoring and evaluation of curriculum projects. Processing and document search for curriculum, teaching methodology and psychological theoretical support: texts, guides and forms. Advise on means of support for teaching equipment, software, text. If necessary, get advice or other specific information for this purpose. Advice to the board, the CEO, the directors section or other authorities on school legislation. Advice on updating the internal academic regulations. Interview prospective teachers: academic aspects. Support the design and redesign of observational teacher performance. At the request of managers or academic Commission, issue technical opinions of the work of evaluators who have participated in the evaluation process for teachers. Act as teachers in training staff in: learning, psychology, institutional analysis and research. Advise coordinators and psychologists of DECE, prior agreement with the institutional coordinator of the agency. This includes psychometric technical aspects and clinical, and general guidance. Participate in counselors study circles. Advise directors, guides and teachers about problems of general psychology. Develop and maintain contacts with officials and organisms of the Ministry of Education. Present to the ministerial departments of the case, special academic projects for its legal approval. Support section addresses and their respective offices for specific processes: leadership change, acceptance of records and nomenclatures. Establishing and maintaining contact with schools of education, secondarily Language and Psychology. Develop and maintain contacts with executives of public and private organizations involved in education: Casa de la Cultura; Chamber of Commerce, Chamber of Small Industry, Historical Park, National Reading Campaign. Attending on behalf of the school, as a participant or exhibitor at academic events organized by other educational institutions or who are interested in educational issues. In the short term, CITED had become a reliable consulting space and educational counseling to give technical and pedagogical actions to project the Boards support to the overall management and directors section. Also propose their own initiatives mentioned in coordination with the directors. 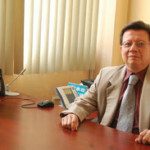 Proyecto Educativo Institucional – P.E.I.